Along with confirming the release date yesterday, Nintendo UK has announced a limited edition of Super Mario Maker 2 for Europe. While it doesn't have a fancy case or any extra content, it does include a year subscription to Switch Online. I suppose it also inadvertently confirms that Mario Maker 2 will require a paid subscription to the service to share levels. A video games business fallacy that outside observers often buy into is that games get canceled for one another. For instance, "Scalebound got canned so Crackdown 3 could get made." That's not how it works. There are big things planned for A Hat in Time -- literally. Despite launching about a year and a half ago, developer Gears for Breakfast is still supporting this action platformer in unique ways. For instance, the next add-on implements some functionality that seems MMO-like. Epic Games is bringing back some Marvel magic to Fornite this year. Just in time for tomorrow's release of Avengers: Endgame, a new limited time mode will be playable in the popular battle royale title. While players won't be directly controlling Thanos, the mad titan is on the loose and it's up to everyone to collect various Avengers weapons and stop him. As is customary with Magic: The Gathering as of late, the War of the Spark set's release is going to be staggered now that Arena is in the picture. 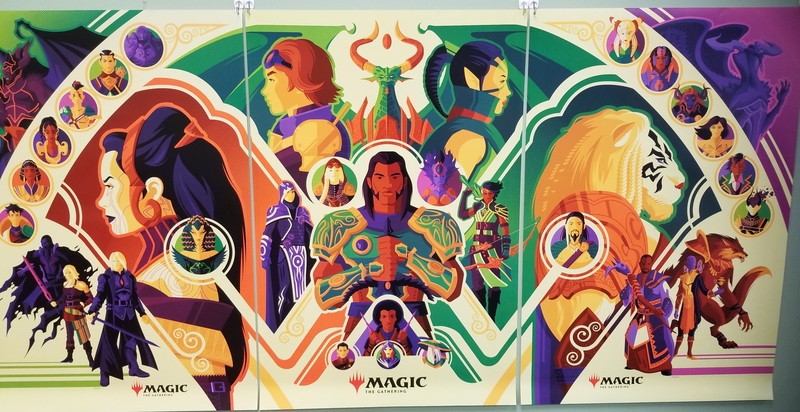 The Planeswalker-heavy set is actually live today, with pre-release events (more on those in a moment) happening throughout the weekend, and paper cards going on sale next Friday, May 3.